This book is about weathering the current changed circumstances – not merely surviving, but thriving and growing. There are 150 pages jam-packed with practical advice, ideas and inspiration for growing your business today. If you’ve been paying attention to your business lately, you’ll know customers think cheaper equipment should lead to cheaper production. There’s a “kid in a basement” underbidding at every turn and many traditional sources of production revenue are simply drying up. These trends were happening, but the advent of an economic downturn has accelerated the changes, while the Internet has radically changed communication and brought us powerful new tools for communicating with new and current customers. 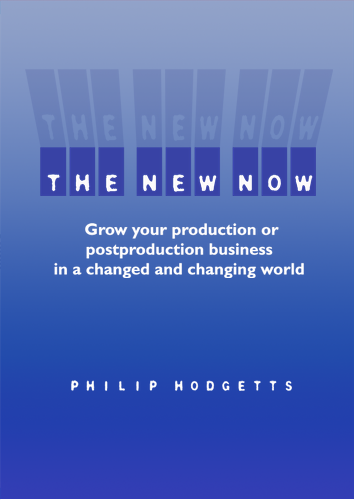 This is the New Now – the new business reality – with new opportunities and new ways of growing your business, whether the economic conditions. 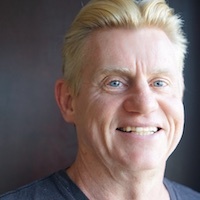 Get used to living in a world where change is the new constant where most of the rules of engagement in business, with customers and the wider world are constantly changing. If you’ve stayed in the production or postproduction business for more than a few years, you’ve already weathered significant change. This page is also available in Macedonian thanks to John Obri.